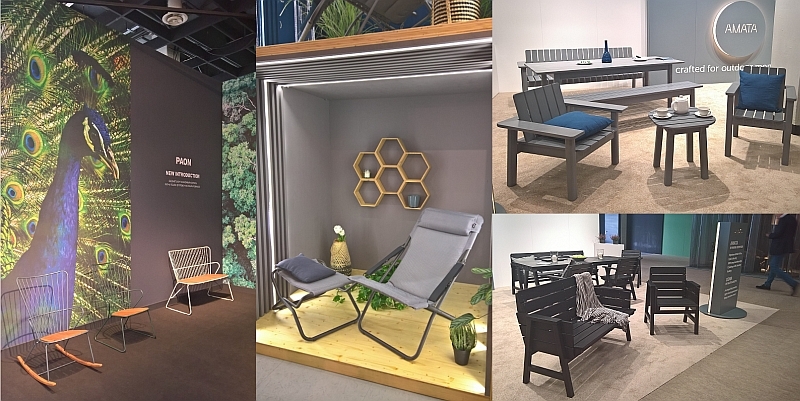 spoga+gafa Cologne 2018: High Five!! On the train to Cologne the signs were unmissable, the sun may have been gloriously, victoriously, shinning, as it has done since Easter, from a clear azure sky: but autumn is definitely approaching. And while it may be a bit premature to start planning for next summer, at the annual spoga+gafa garden, freetime and equestrianism trade fair in Cologne, manufacturers presented what they expect us to sit on next summer in our gardens, on our balconies, while camping, the accessories they expect us to have around us while we do such and the ludicrously testosterone charged names of the barbecues they expect us to cook with. But will we? Should we? Can we? 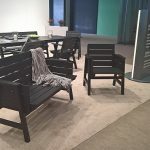 The main story from spoga+gafa Cologne 2018 is that the Garden Unique Youngstar student design competition is no more. In its place a T**** showcase. And not just T***** but also that other marketeers lazy fallback: Icons. No, not impressed. Replacing uninhibited student thinking with T***** and Icons isn’t a step forward. Not that we believe students have all the best ideas, far less that one should give them free reign, as we noted in our #campustour end of tour post, that would be lunacy. But in the free, uninhibited thinking of a student project one finds, or at least can find, new perspectives on the established, applications of new technology/processes untroubled by an all to strong a focus on what the market thinks, ideas that have the possibility to advance and further design, society. That’s surely good. A T***** and Icons show ain’t. By which we’re not commenting on the realisation, but the fact it was realised. And don’t get us wrong, we know T**** , Innovation, Icon, showcases are part of any trade fair, and normally we happily ignore them. Here it’s the context that has got our goat. That where once young designers took their chance, and occasionally got it, now stands……. We’ll skip over the flawed concept of the “Icon”, not least because the definition as applied by spoga+gafa Cologne entailed the object having a link to the fair, thus clarifying for all the pure PR effect they planned to generate. And our bigger gripe is in any case with t*****. As more loyal readers will be aware, we don’t believe in t*****, consider them to be an artificial marketing construct, an attempt to reduce a potentially long and evolved design process to a couple of buzzwords, thereby completely skewing not only the work undertaken, and for all the motivation and concept behind that work, but for all popular understandings of design, thereby further blurring the borders between design, lifestyle and for all fashion. While t**** may not be directly fashion, talk of t***** is a poisonous precursor, something gleefully taking up by those seeking to profit from the tribal instincts, lack of confidence, pure laziness of consumers, turning that which is heralded as a t**** into a fad, a short lived, quick buck fashion on to which others also quickly pile, an empty shell hashtaggged on instagram, discussed at length on podcasts, and willingly reproduced in lifestyle magazines cause its cheap and easy content. And the best bit is the next great t**** will be along any minute. 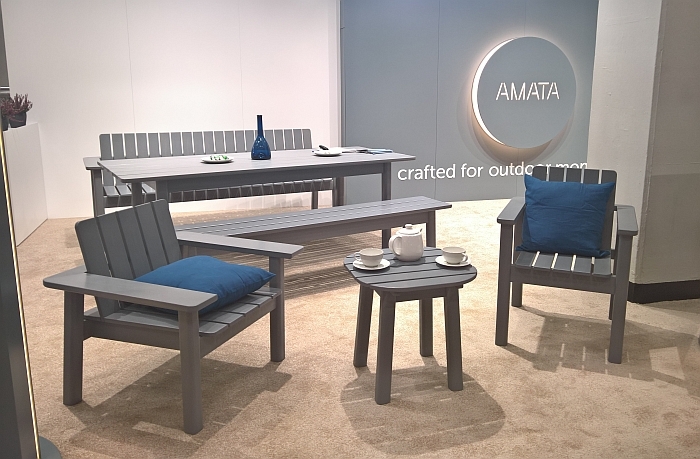 We’ll let you extrapolate yourself from clothes and physical wellbeing to furniture and cultural wellbeing. T***** have no place in serious furniture design, which is what we understand is intended to be presented in the Garden Unique section of spoga+gafa, contemporary research, yes, contemporary understandings, yes, future positions, happily, but not T****. Curious was we almost felt sorry for the T***** and Icons showcase, isolated as it was on the same barren patch of carpet from which the Youngstars competition had previously attempted to eek out an existence, and a location which we criticised last year. Yes there were signs leading you there, but stuck as it is a corner, hemmed in behind the featureless towering walls of the neighbouring stand, you can’t actually see it until your practically there. 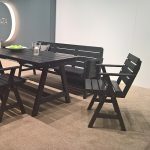 As all in sales know, people migrate to what looks interesting, yet, and to keep it all things garden design, there is no view, no clearly defined vista or axis à la William Kent or Peter Joseph Lenné to draw visitors in. We can only hope that for next year the organisers develop not only a more meaningful concept for the Garden Unique showcase space, but also a better floor plan. 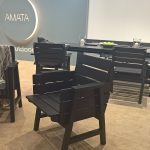 Latvian manufacturer Amata is a further example of an established furniture industry sub-contractor deciding not just to make components for other manufacturers but to develop their own lines. A very logical development: you have a factory, machines, a skilled workforce, experience, all you need is a designer or two with some good ideas…. which is where it gets difficult. Not all designers have good ideas, not all marketing departments can identify a good idea, not all chief executives are brave enough to invest in a designer’s arguments over those of the marketing department, a lot of such initiatives don’t really work out…… The fact we’re including Amata here doesn’t mean we think they’ve found the perfect formula, it means we liked what they presented in Cologne, everything else is wait and see…..
By way of an inauguration Amata presented two collections in Cologne: Usma by Finnish duo Aalto+Aalto, no relation, and Amata by Danish designer Maria Berntsen. 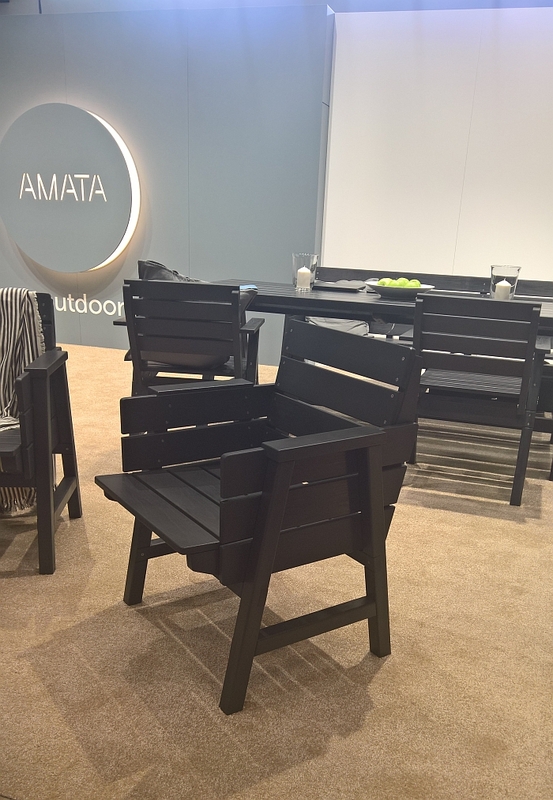 For the latter Maria Berntsen played with some of the formal and construction elements of the iconic Adirondack chair that populates ever American lawn. The result is a much more quadratic object, much more visually reduced, than its muse. The quadratic character of the chairs is offset by a slight rounding of the legs which prevents it having too austere a presence; if we did have one complaint, for us the arms on the lounge version were a little too low, our elbows were left hanging a tantalising couple of inches above the armrests. 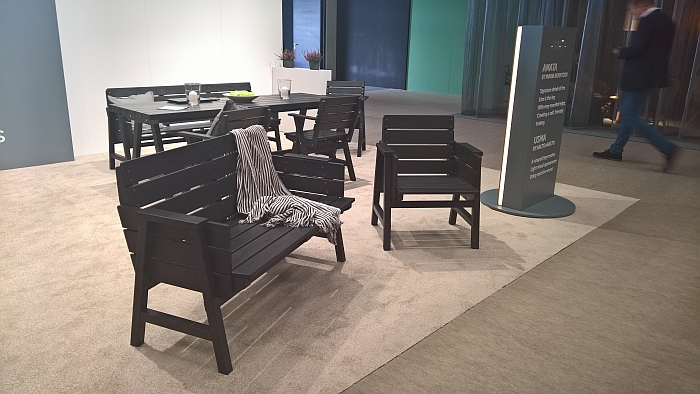 With the slightly higher and more compact armchair version that wasn’t an issue. 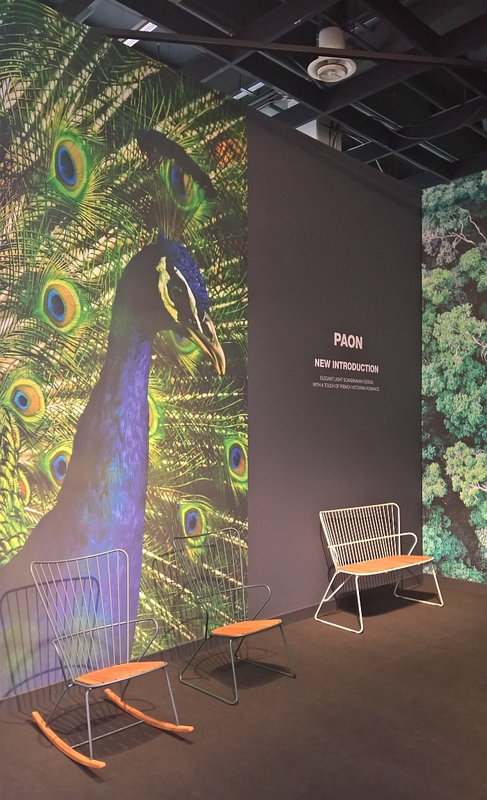 The question is if the lounge version armrests can be raised without disrupting the very harmonious image it presents, a harmony shared across the collection. 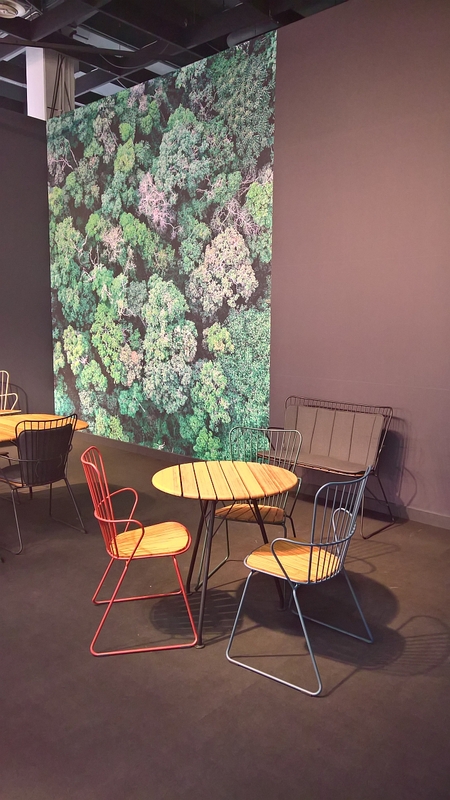 With the Usma collection husband and wife team Klaus and Elina Aalto+Aalto have produced two different takes on the iconic A-frame chair base, an open lounge version and closed side chair version, whereby the open lounge version spoke most to us. Presenting thoughtfully proportioned and sensibly scaled objects which have just as much harmony as the Amata collection, the Usma collection is a delightfully visually compact family of chairs, something that works especially well in context of both the single lounge chair and the accompanying the 2-seater bench, an object with enough space for two, but which appears somewhat embarrassed to demand that much space. And all provide for a stable and comfortable seating experience, which is arguably more important. 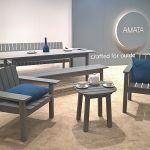 Crafted from solid Nordic pine, finished with linseed oil paint and employing straightforward, economic construction systems, Usma and Amata don’t do anything particularly revolutionary, but then they don’t have to, because they do what they do well and in an interesting and engaging fashion. 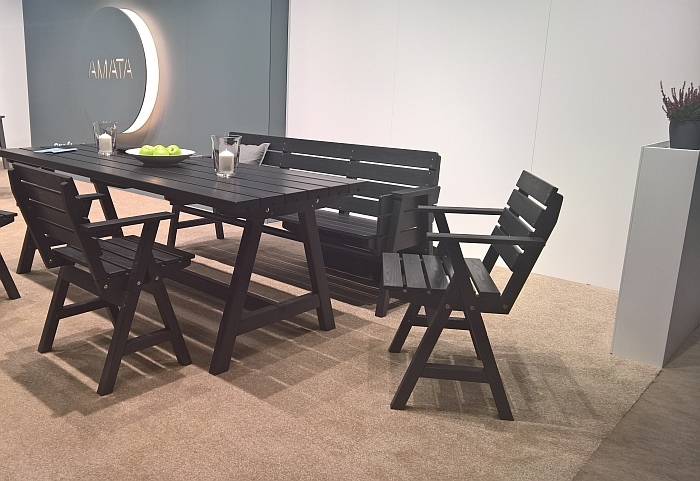 And it goes without saying that both chair collections have accompanying table collections. Combining a steel wire frame with a wooden seat Paon offers just the necessary give to provide for a comfortable seating experience while the wood seat not only gives it a more solid appearance than its pure metal cousins, but also negates the need for cushions, the armrests meanwhile are more of a decorative element that functional, except on the rocker where they naturally take your elbows. The rocking motion itself is secure and nicely balanced. All in all a very pleasing and satisfying project. 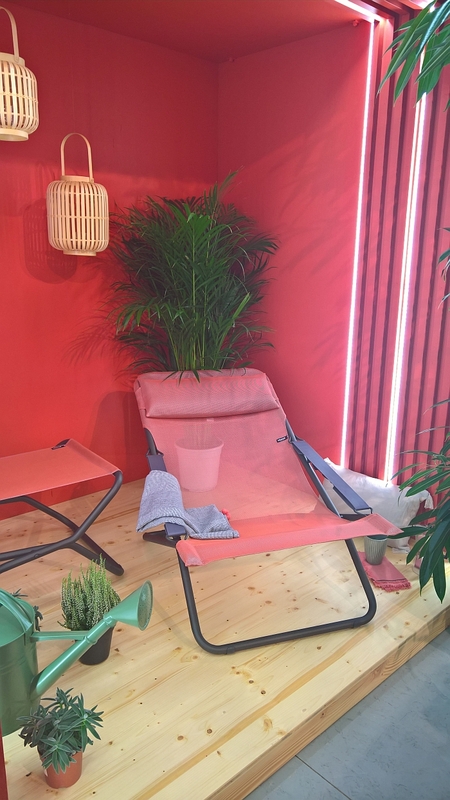 New to us but not new, and this column asks for no more than that, the Transabed Sunlounger by French manufacturer Lafuma has been around for almost as long as us, and is in all regards an update on the iconic classic popular wooden and cloth deck chair. Arguably the better deck chair. Presenting as it does a more durable material and a transformation mechanism that isn’t likely to injure you, even if that also means it offers less opportunity for comic interludes. Flat foldable for transport/storage, a very simply catch/hook system allows the angle of the backrest to be set to one of three positions. Offering good sitting security and comfort, or at least it did in our brief sojourn in it in Cologne but we see no reason to doubt you couldn’t happily spend an afternoon chillaxing in it, not least with the foot stool which provides that touch of decadence above the normal deckchair, and presumably, can also serve as a small side table when not in use as a foot stool. Or put another way, a very elegantly simple piece of design, and one whose acquaintance we’re glad to finally have met. 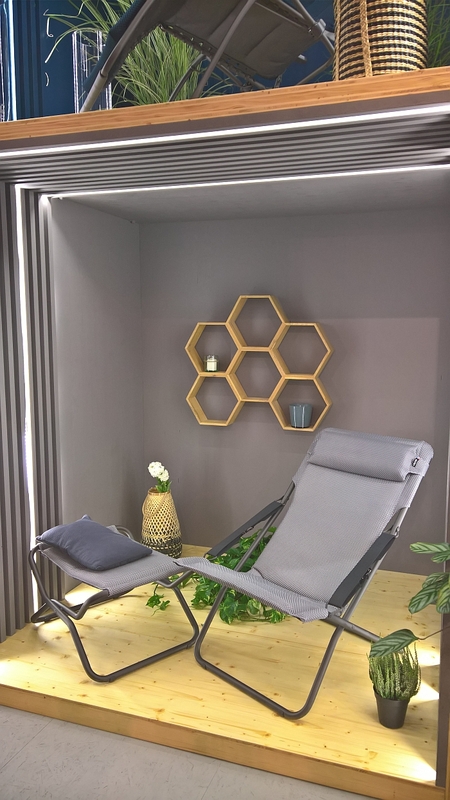 And in the interests of fairness and transparency, it did also feature in the T**** showcase, we discovered it first on Lafuma’s stand, later stumbling across it in the showcase where the curators highlighted its innovative and functional Be Comfort textile.